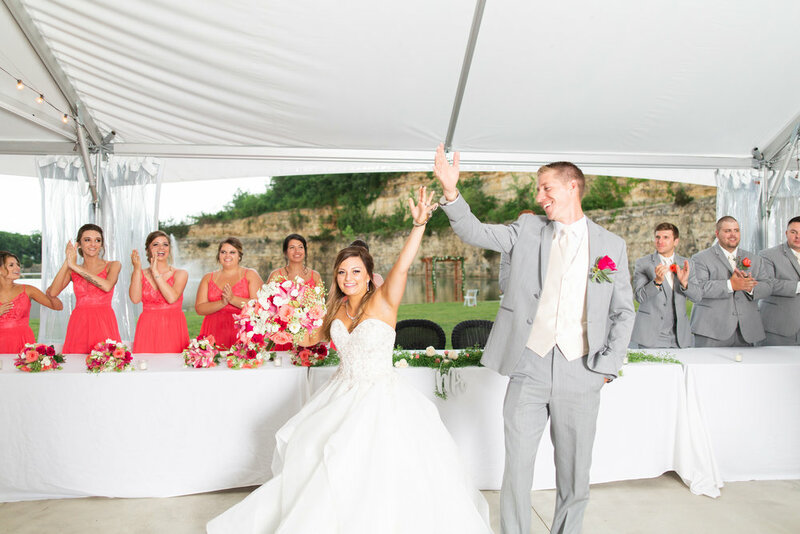 June 2nd Lindsey and Kenny tied the knot at Sunset Bluffs in Washington, Missouri. The venue was a dream. 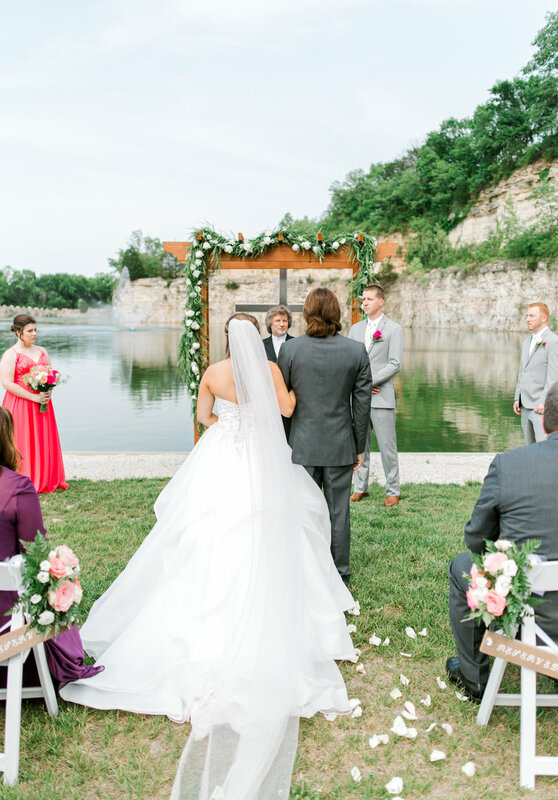 From white sand to a beautiful cliff that overlooks the venue. 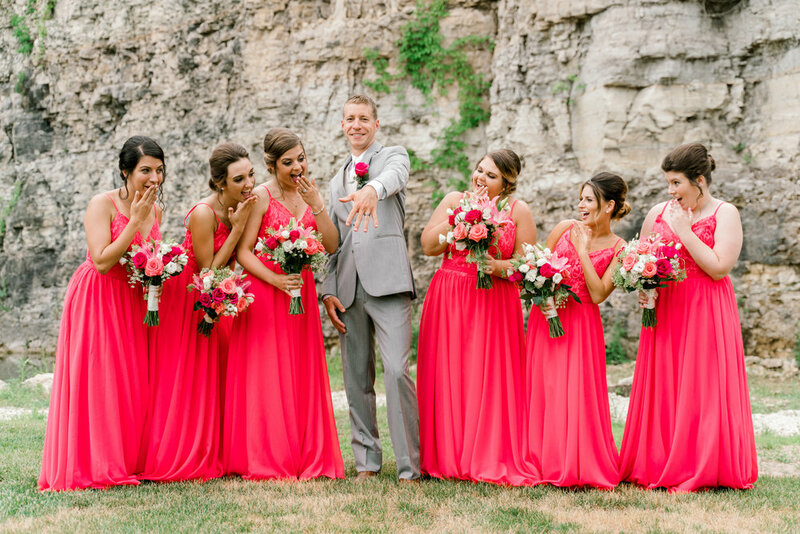 The day started with Lindsey and her bridesmaids getting ready upstairs at Sunset Bluffs. The room was huge with tons of natural light. The corner of the room tucked a private area for make up artist and hair stylist. There were huge mirrors with make up lights built in already. The girls sipped on mimosas and shared memories while they all got ready. Shortly after Kenny and the groomsmen arrive. There is a room downstairs for the guys to get ready in. The weather was raining on and off but luckily Sunset Bluffs has a huge indoor area with tons of huge windows allowing a ton of natural light to flow through the entire venue. After everyone was ready Lindsey wanted a first look with her father. We had Lindsey's father facing his back to this huge staircase, that way when Lindsey came down the steps we could snap some creative shots and angles. The first look with her dad was so precious! There was not a dry eye. After the first look it was time for the ceremony. The weather was an overcast with the sun just barely shinning through we could not have asked for better lighting. 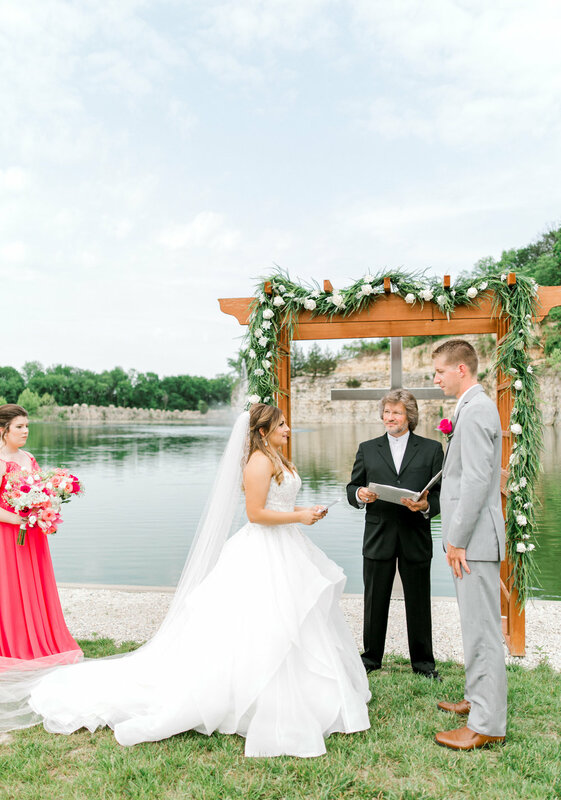 The ceremony was beautiful ! The pastor was Lindsey's pastor since she was a child making the ceremony very sentimental. 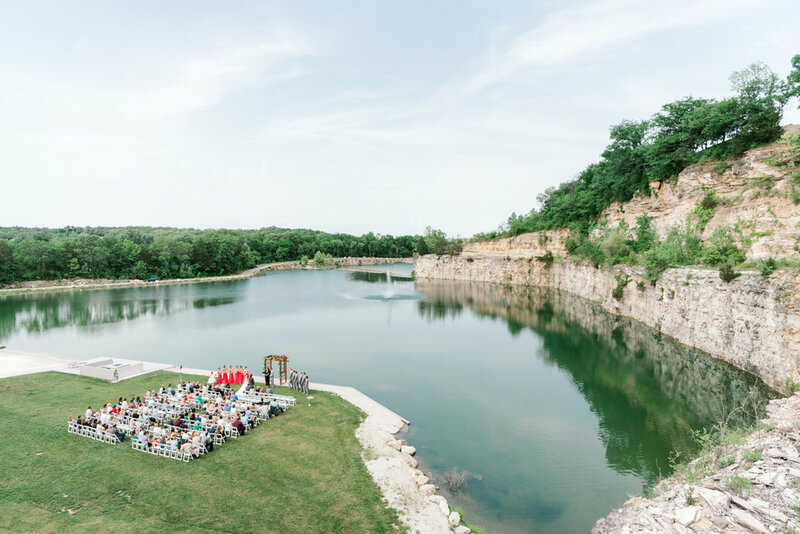 My second photographer went up on the cliff at Sunset Bluffs to snap some wide angle shots of the ceremony which are so cool! 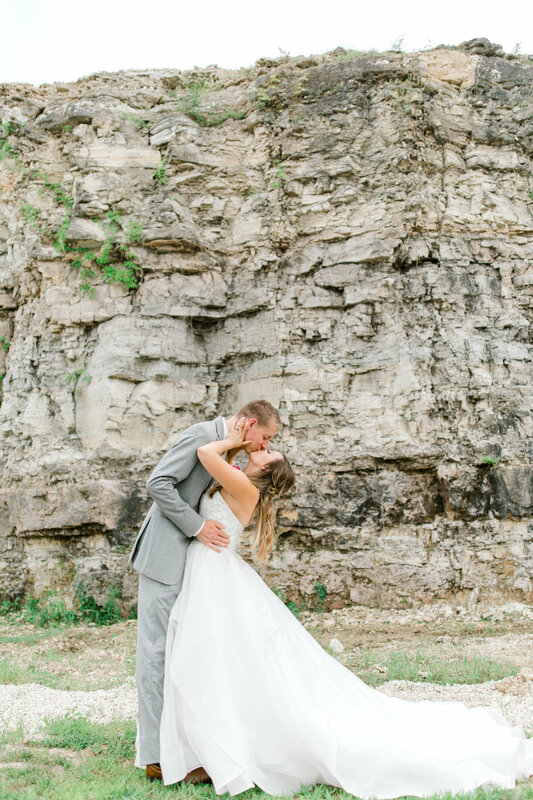 Right when Lindsey and Kenny shared their first kiss as Mr and Mrs Kenny dipped her before they exchanged their first kiss which was the cutest! Following the ceremony we snapped the wedding party and bride and groom portraits. 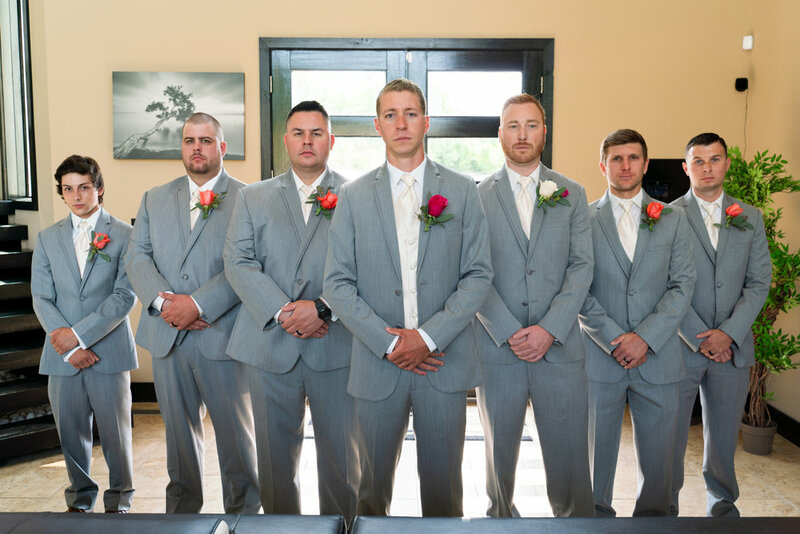 We had so much fun from laughing to all the groomsmen picking up Lindsey for a photo. After the in between pictures followed the reception. The one thing I love about outside summer weddings is it is still light outside until making for good natural light photos. 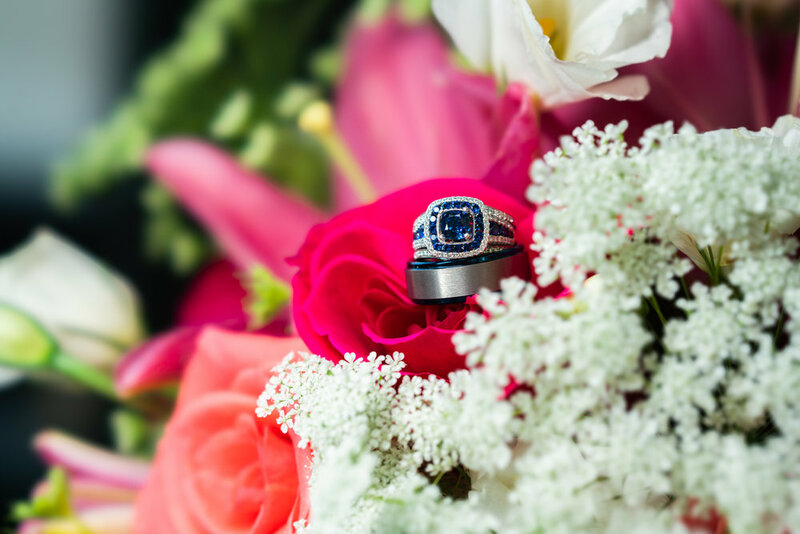 Lindsey and Kenny entered the reception wearing handcuffs as Kenny's profession is in law enforcement. The reception was so much fun from games to speeches. 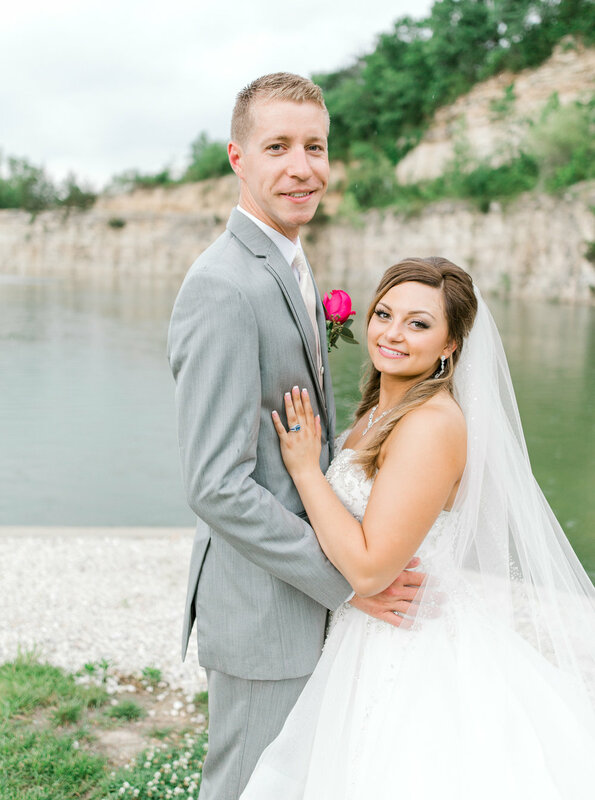 The wedding of Kenny and Linsey was a beautiful outside summer wedding! Congrats to Kenny and Lindsey!